A superb introduction to the world of Occultism and Easy-to-cast Spellwork, this publication is the perfect primer for both entry and mid-level practitioners of the Art of Magick - something that's sadly missing from many books on this misunderstood subject. 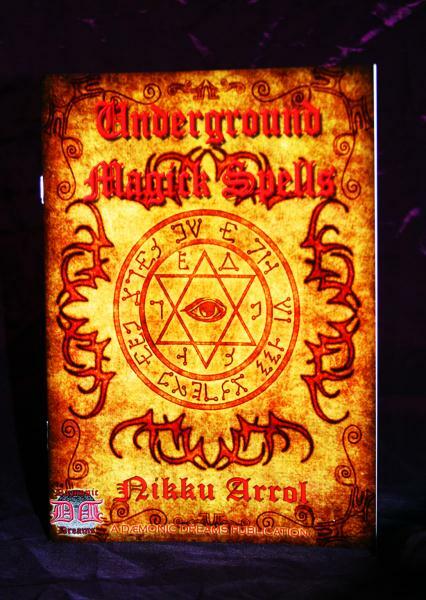 Originally published by Starlight Books, this amazing little Grimoire answers the most commonly asked questions about Magick, Spells & Rituals. Please DO NOT BE FOOLED into thinking that this is material dealing only with basics; there is serious power contained within these pages, and many have made MASSIVE, positive changes to their lives as a direct result of using this book.